What a great launch with Cllr. Roger Robinson – and we were pleased so many heard about this and came. 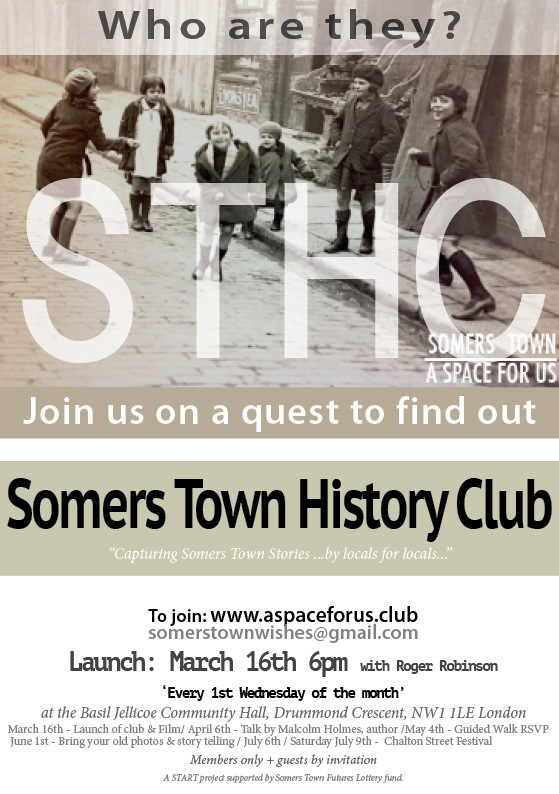 There were five old Somers Town Pathe newsreel films unearthed by Jaime and shown to a mix of locals, ex-locals and the interested. Storytelling and great cake followed (cheers to local cafe Pinners)!